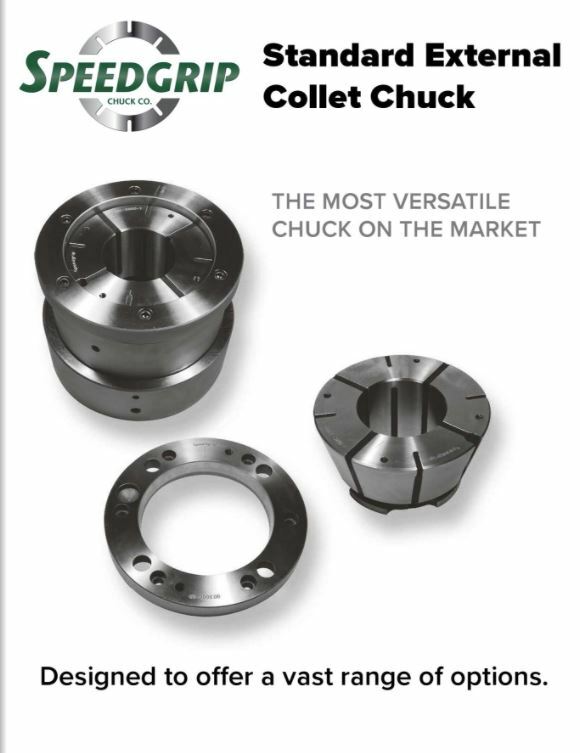 Standard External Collet Chucks - Speedgrip Chuck Co.
A robust off the shelf external collet chuck that can be used for first operations and will prove to be ideal for second and subsequent operations. Quick change collets have a long 360 degree grip length, virtually unaffected by centrifugal force, strong pull back action, and .0005 T.I.R significantly exceeds the abilities of 3-jaw chucks. 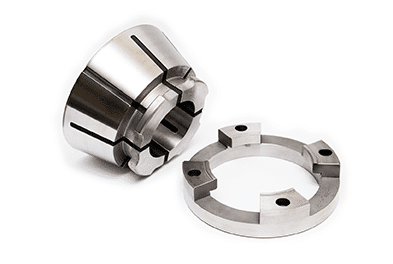 Excellent for turning application, gear machining, drilling / milling, and more. 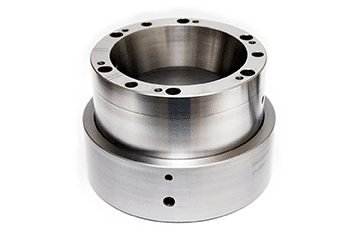 With thru hole capacity of 3” for the OD-3000 and to 4 ½” stepped, The OD-6500 has 6 ½” thru hole capacity (to 8” stepped) and has the largest capacity of this type of chuck on the market. Workstops can be added inboard or outboard, of various lengths and configurations making this chuck extremely versatile. 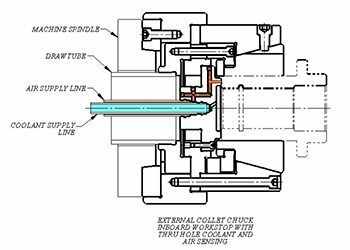 Our engineers can offer Engineered Solutions for your Precision Workholding needs. 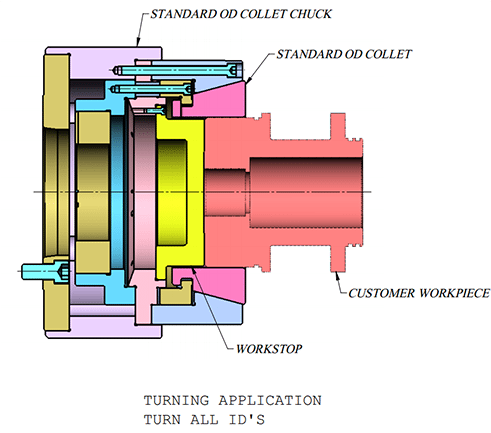 Access the Standard External Chuck brochure below for additional information and specifications.